Eat clean. That's a phrase we've heard countless times over the course of the last few years—whether it's come from our yoga instructors, our family members, or our favorite wellness bloggers. The buzzy phrase even goes beyond describing the practice of healthy eating to describe the food itself. Whether or not a meal, a dish, or a specific ingredient is "clean" is discussed at great length. It seems that most people use it as a placeholder for healthy, but what does it really mean? Is there a real definition, or does it encompass a wider movement or trend that can't be pinned down? What types of food are actually "clean"? Finally, what are the effects of this new nomenclature? Is it helpful or hurtful in encouraging a holistic wellness practice? It's food for thought. It's also something that we don't have all the answers to, which is why we reached out to some food and diet experts who do. Keep scrolling to see what nutritionists have to say on the subject of clean eating. With so many diet trends and terminology taking over the wellness scene (like gluten-free, Paleo, and ketogenic) it's easy to classify clean eating as just another passing fad. But we shouldn't. According to Amie Valpone, founder and editor in chief of The Healthy Apple and author of Eating Clean: The 21-Day Plan to Detox, Fight Inflammation, and Reset Your Body, clean eating rests on a basic foundation of simplicity. "To me, clean eating is eating whole, one-ingredient anti-inflammatory foods. That's my philosophy. What's in an avocado? An avocado. What's in an apple? An apple. What's in a 100-calorie pack of Oreos? Way too many ingredients you can't pronounce, which is an example of a food-like item that's not a one-ingredient food and is highly inflammatory. You can base your entire day—all of your meals and snacks—around one-ingredient whole foods." Dana James, nutritionist and founder of Food Coach NYC & LA, agrees with Valpone's simple yet wide-ranging definition. 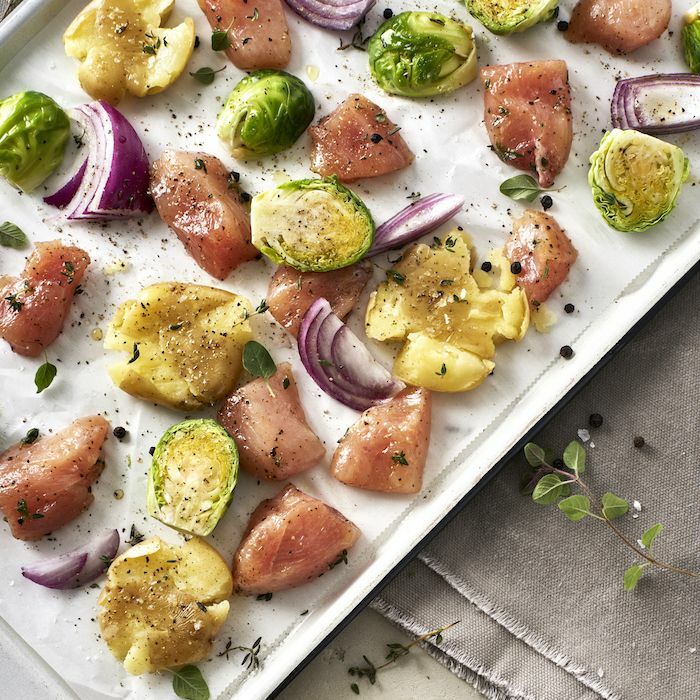 She describes clean eating as being "a plant-centric diet with small portions of wild fish and grass-fed meat, sprinkled with a hint of indulgence." It means avoiding (but not completely and forever eliminating) processed foods like cakes, cookies, cereal, packaged bread, crackers, processed meat, sugar substitutes, and fried food. She even recommends staying clear of Paleo treats or foods that are "free" of anything. "Clean eating means eating real, unadulterated foods," she says. This includes common "health" foods that have been altered. As Vanessa Packer, holistic nutritionist and founder of the buzzy workout studio ModelFit, puts it, "Clean eating, to me, is the elimination of processed foods. That includes healthy foods that are altered from their original state. An example of this would be tofu. Most tofu, in my opinion, is a processed food (unless it is made on the spot, in front of you, fresh). It's a soybean that has been altered, processed, preserved and packaged. That's not clean eating to me." What Types of Foods Are "Clean"? aisles of the food store that are full of inflammatory oils such as canola oil and other vegetable oils, table salt, and more." The trick is in the mindset, she urges. Focus on the delicious natural foods your body craves over what you feel like you should restrict yourself from. "I'd rather my clients and readers focus on what they can eat and round their day out with whole foods, sea salt, and healthier oils such as extra-virgin olive oil," she says. Clean foods are varied and vast in number. Amy Shapiro, nutritionist and founder of Real Nutrition NYC, says clean eating can include things like "grass-fed beef, sustainable seafood, any veggies, bone broth, organic nuts, avocado, coconut, fresh fruit, chia seeds, water, eggs, local whole wheat sourdough bread, olive oil," and more. There's no set plan or food restrictions. If it's healthy and natural and without additives, then it's clean. Black Sesame Seeds: These little seeds are nutrition powerhouses. 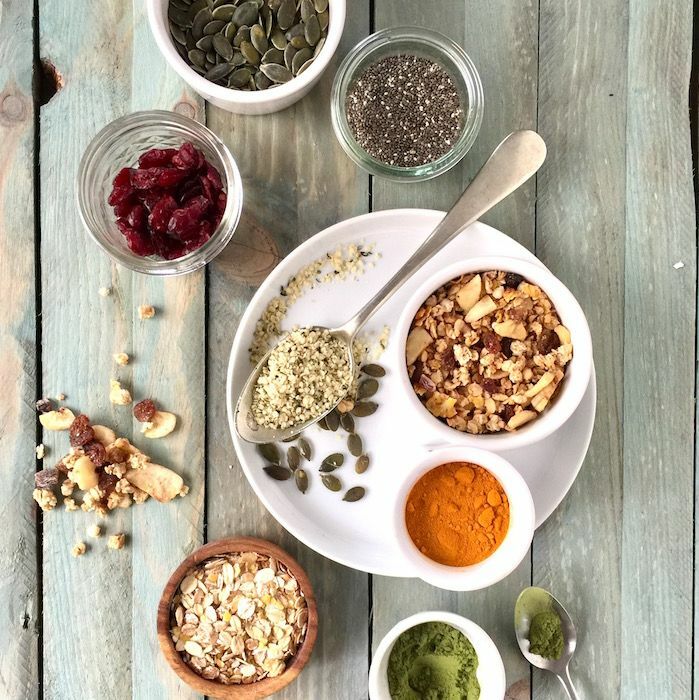 "Packed with essential fats, oleic acid, magnesium, and zinc, these tiny seeds help restore cell membrane integrity, which means a faster brain, pretty skin, and more vitality," James says. Try sprinkling them atop a green salad. Tomato Juice: You might think it's best to avoid juices due to their high sugar content, but James says tomato juice is beneficial. "The lycopene in tomatoes protects the skin from free radical damage and it helps prevent the bones from becoming brittle." Our favorite tomato juice tip of hers is this: "Add the tomato juice to your tequila, and it's still clean eating, I promise!" Dandelion Greens: "These bitter greens boost the liver's ability to eliminate toxins from the body. They also help stimulate the secretion of bile for fat emulsification. There is no point eating wild salmon and taking a fish oil if your body can't utilize it. Dandelion greens can help," James says. Lemon Sole: If salmon isn't your favorite, try opting for this milder-tasting fish. "While wild salmon gets all of the attention for its nutrition content, lemon sole (and other white fish) also offer a whole host of benefits, namely brain-boosting amino acids; iodine and selenium, which both support the thyroid; and zinc to decrease 'hanger' and improve skin texture. Simply pan-fry lemon sole with olive oil and top with lemon zest, fresh thyme, and sea salt," James says. Blood Orange: "Sure, you could eat a naval orange—it's clean eating—but blood oranges are prettier and have more anthocyanins, plant nutrients, than any other citrus fruit. Enjoy a blood orange as a snack (in fact have two! )," says James. While these are all healthy foods considered to be "clean," keep in mind that, like James says, there are literally thousands of clean foods. Yes, there are the so-called superfoods, green salads, and the like, but anything that's whole food–based with natural ingredients and no additives will do the trick. Just be aware before embarking on a clean eating diet that you might experience an adjustment period of sorts. "Eating clean takes some adjusting with your taste buds- I'm not going to lie," Valpone tells us. "In my 20s, I worked at Vogue and drank Diet Coke when I was hungry. Just detoxing myself off of Diet Coke was hell, and it's the same thing with any food you're addicted to, because your brain is addicted to it, but once you witness that and realize that it's your brain craving it, you can take a step back and fuel yourself with something new and form a new neural pathway in your brain! That's when these healthier choices become easier and it becomes a balanced lifestyle, not an 'eat this, not that' game." Is the term "clean eating" helpful or harmful? Names carry a lot of power, even in regard to health and wellness. Some have voiced concern over the name "clean eating" in the past because it implies that other foods are "dirty" and thus must be avoided at all costs. In that perspective, clean eating can impart a lot of pressure and even shame or guilt to some people. It's the feeling that if they find themselves in a pinch for time or healthy food options and eat these implied "dirty" foods to satisfy hunger, then somehow they're at fault for lacking self-control or responsibility. Clearly, that's not a healthy relationship with food, nor one that any of us desires. According to Shapiro, it all goes back to the definition of clean eating. The definition, which is trying to eat clean most of the time saving for a few indulgences, doesn't allow any room for guilt or shame or obsession. "I think it is a helpful phrase when defined correctly just like anything else," she says. "If you are uneducated about any term or topic, you can go wrong, including simple statements like 'natural' or 'organic.' What does clean eating mean to you? Follow general guidelines and aim to meet them 85% of the time. When anything is defined too narrowly or made too difficult, it can prevent you from feeling like you can do it or succeed. Try to eat clean most of the time; it is encouraging and fits into any lifestyle." That's the keyword: lifestyle. As Packer puts it, "I think if you are thinking about clean eating as a cleanse, that's the wrong way to think about it, and it shouldn't be so extreme. It's best utilized when a person wants to change their eating habits and can be most effective when introduced slowly into the diet, so over time, that's just the way you eat. When executed properly, it's a lifestyle, and that's just the way you eat—clean." James agrees. "Clean eating is a well-rounded diet. Any thought otherwise is a misinterpretation of what clean eating is. Clean eating is not obsessive eating, nor is it a detox. It's a way to eat for life." For further reading on the subject of clean eating, check out this book written by Valpone, which is designed to introduce you to a clean eating lifestyle and help you get through that aforementioned clean eating adjustment period. Valpone wrote this book after suffering from many health-related issues that she tried to improve via traditional medicine, to no avail. "I left conventional medicine and embarked on a decade of understanding food on a deeper level and figured out how to heal myself. It wasn't easy, but I knew I wasn't the only one suffering and that I had to share my story with other people, especially women, who were silently suffering, as well," she says. It might inspire you to put down the morning office doughnut in favor of something healthier—not just for weight or appearance, but for long-term health. Ed. note: Always speak with a doctor before making any major dietary changes.